cos what's better than oshima yuko? TWO oshima yukos! I'd like to quote this for how true this is. And oddly enough, they're mirror images of one another! The one on the left (bottom of stairs) has her chains on the right of her waist. The one on the right (top of stairs) has her chains on the left. 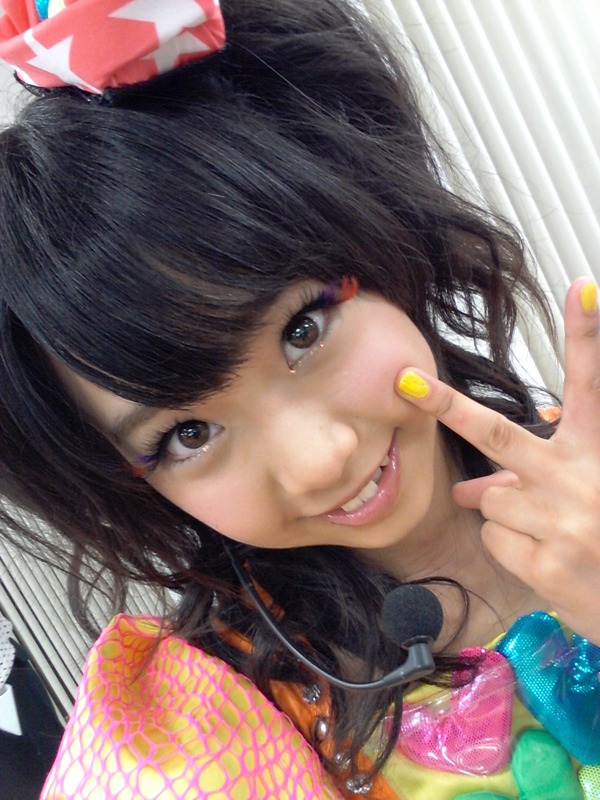 Q: Which side did Yuko put her chains in MG1? Before, the chains were on her left, I think? Good catch, though, damn. I was too distracted by the OMGAHWTFBBQYUKOHOOOOT to notice that. On a rewatch, I noticed two things during the theme song. 1. When Miichan (Shaku, I think?) joins the girls, Gakuran (or whatever her new name is) glances over at her and does this little happy smirk. Will Gakuran have a thing for Shaku this season? ugh, I was afraid this would happen if there was gonna be a season 2. An imposter Yuko. I didn't think that there would actually be 2 of them. Why didn't Sayaka appear in this ep? Crazy Theory #1: Yuko was actually one of a set of identical triplets, and these are her sisters. Crazy Theory #2: These are Yuko clones created by the school nurse, who's actually a mad scientist. The reason he wanted a visit from Acchan so badly in season 1 was to get hold of some of her DNA as well. Crazy Theory #3: The sakura petals are magic, and anyone who eats them gains the appearance of Yuko for 1 hour. This will result in a massive matrix style multi-Yuko fight against Yabakune in the final episode. ProjectSUB48 has released subs for Episode 1.